This is a firsthand account of a girl’s experience of being entombed within the American mental health system. Girl, Interrupted is an autobiography that reads like a novel, which immerses the reader in a world where the astoundingly abnormal is accepted with sardonic insightfulness. Kaysen describes her descent into madness with a punchy wit; consistently ignoring her own lunacies in favour of observing those of others. As each character is dissected, the reader becomes aware of their own disquieting fascination with the insane. This book will make you consider your own mental state, and you’ll have fun along the way. 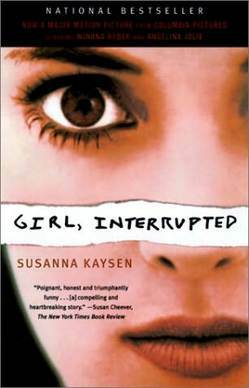 You are currently reading Girl, Interrupted by Susanna Kaysen Review at booksbeccabuys.